We also tee up some issues that the Committee might consider looking at in future hearings — from “orphan works” to licensing and artist leverage to voluntary copyright registries to “parity” in broadcasting. These aspects of copyright law (and others) will continue to have an impact on the entire music ecosystem. Musicians are major stakeholders here, and their views must be taken into account. One way to do so is by using data to inform the policymaking process. Quantitiative information about the musician experience has been, for many years, difficult to come by. That’s why, In 2010, FMC launched Artist Revenue Streams – a multi-method, cross-genre examination of whether and how musicians’ revenue streams are changing in this new music landscape. Our testimony makes plain the need to consider artist-focused data in any evidence-gathering about copyright, technology and the music marketplace. 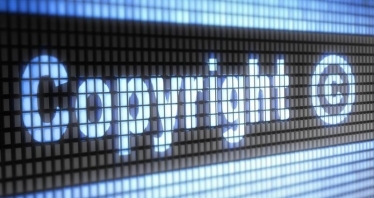 What do YOU think Congress should be considering in its review of copyright law? Tell us in the comments. Submitted by Willie Terrell (not verified) on June 5, 2013 - 2:21am. Copy right law still seems inactive to me. I am a musician and I am scared of making my carrier in music. There is little or no scope of making money! Wagering cannot be better right here and also the quick installation of online gambling software could have you learning texas hold'em, black-jack or the slots before you know it.